Poll: Should I continue updating the thread? Crafting like shown above gets you 5. A crossrail is a rail that allows for an intersection without a minecart going onto another track. The picture above hopefully makes it a bit easier to see what it does and its function. A powered crossrail acts like a normal crossrail, but allows the cart to gain speed when the powered crossrail is powered by an adjacent detector rail or redstone block under it. 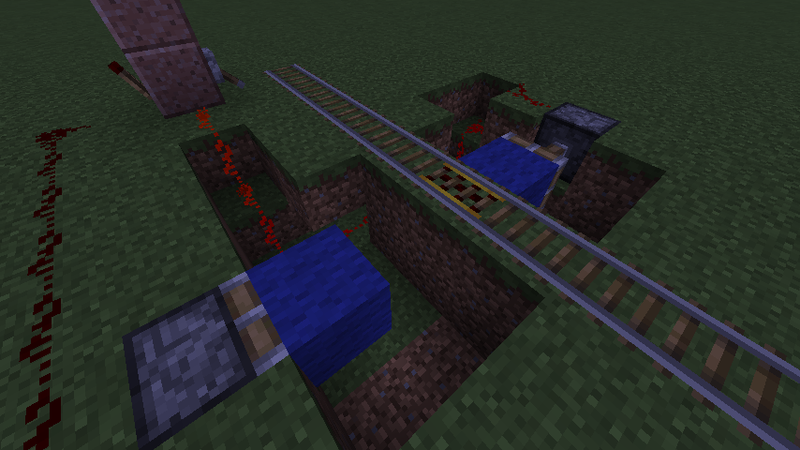 A detector crossrail will give off a redstone signal when a cart runs over it. It also functions as a normal crossrail, in that it allows for reliable and safe intersections. An activator crossrail will allow for interesections just like normal crossrails. 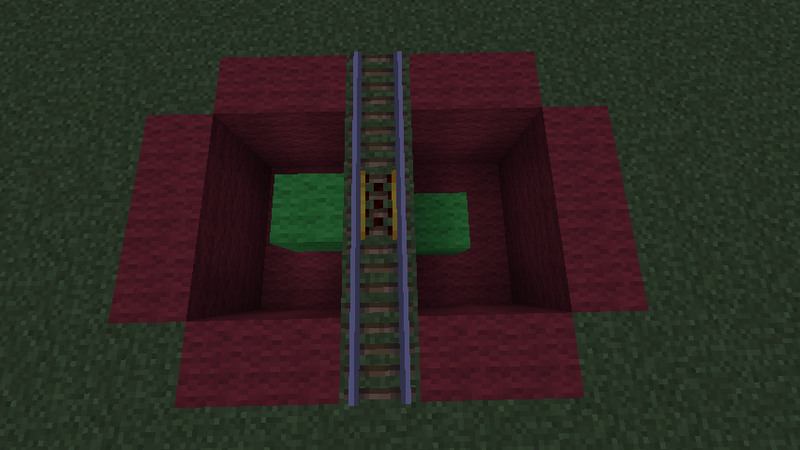 However, it also acts as an activator rail as well in that when it receives power from a detector rail or redstone block beneath it, it will eject mobs from it when they run over it, it will prime TNT minecarts, disable Hopper minecarts, and power any nearby activator rails/powered rails. Crafting like shown above will get you 3 corner rails. They have sharp corners. Also, they don't automatically snap into place since you can craft them for the respective corner. 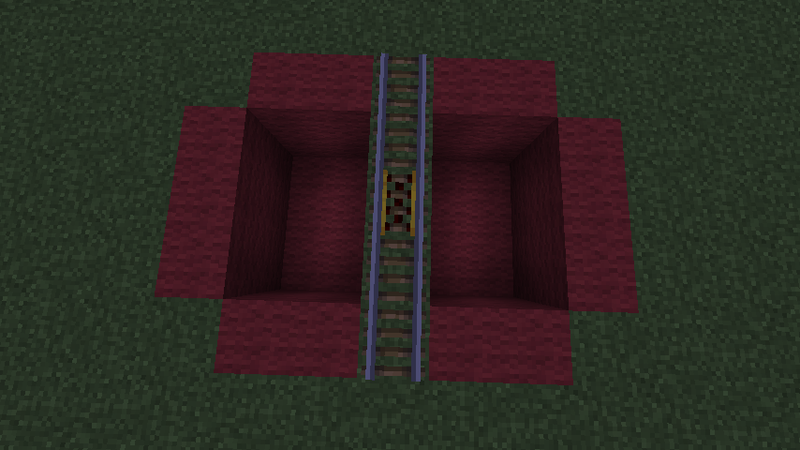 There are also Powered Corner Rails, which act like normal corner rails but can be powered via redstone/detector rails. Crafting a Powered Corner Rail is fairly simple, just craft it like you would a normal corner rail except with powered rails to get 3. Corner Rails would allow for ultra-compact rail designs. Note that the block states do not automatically change when the rail is placed, since the direction is preset based on how you crafted the corner rail. Hence why we're doing this system as opposed to the current one. -Mob AI views all rails as a 2 high block, so they won't be walking on rails. For spiders/cave spiders, their AI will view it as a block they cannot climb. Beware however, spiders/cave spiders can ignore the "2 high" rail that they see in their AI when they do their jump attack. You may think this could be used for mob-proof doors, however this wouldn't make it any easier than it already is to make a mob-proof door. Plus, it wouldn't look nice at all as a door by most people's standards. However, they could do it the same way they did banners and leather armor. You can only dye normal rails, and the dyed rails aren't accessible in the creative menu. No resources are wasted, since it uses the same amount of rails as the current one. It stops you when you it to the spot where you choose, and briefly allows you to turn a certain direction. Then, the minecart will get a low amount of momentum to start. This would compact current T-Junctions into a single block, and could allow for some rail stations to be improved greatly in combination with crossrails. Also, the current T-Junction wouldn't be broken, so if you don't have time to replace all of them, they will still work. Activator rails eject players out of them, but what if you DON'T want to be ejected out of a powered activator rail? This is where ejector rails come into play. Ejector Rails have 2 states. A non powered state, and an powered state. 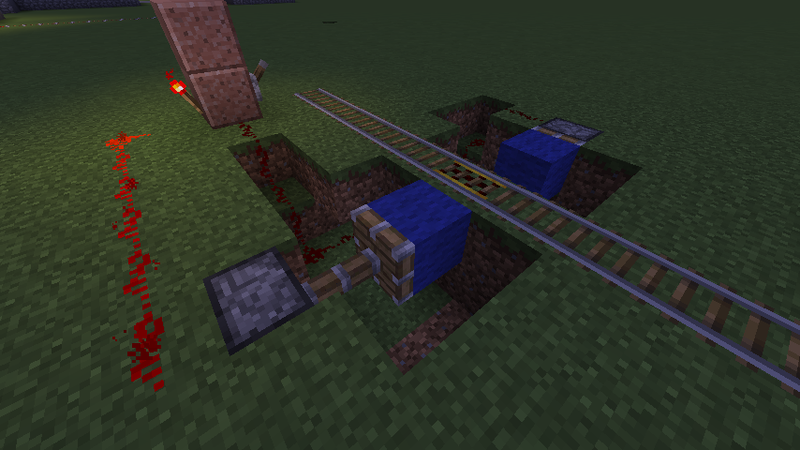 If it isn't powered by a redstone signal, it will bring the player to a fast halt when riding over it. If it is powered by a redstone signal, it will eject the player out of their cart when riding over it. It will check both sides for a valid block (not air), and place it on one. If both have a valid block, it will randomly choose one. If only one has a valid block, it will place on that one. If neither have a valid block, it will be placed on the rail itself as a last resort. Along with this, Activator Rails will no longer eject players out. Not only would this make quartz much more useful, but it would make activator rails more useful as you won't have to worry about them ejecting players out if you don't want them to. You can also craft Ejector Crossrails by putting them in a crossrail formation to get 1. Ejector Crossrails will act as both Crossrails and Ejector Rails, both of which I'm sure you're fully familiar with by now. Q:How do activator crossrails and powered crossrails get powered? A:They are powered by a redstone block beneath it, or an adjacent detector rail. Q:What exactly is the point of detector crossrails and activator crossrails? A:To serve as a crossrail and a functional rail. Simply put, you can do everything with either crossrail that you can do with the normal rails, plus use them as an intersection, and any combination of those. Q:Does the debated topic ever get implemented into the actual thread? A:None so far have. They're mostly to keep discussion productive and lively. Q:Do I absolutely have to read the "read this before replying" section? A:No, and I can't force you. But, I recommend it, because it's important enough to be in the table of contents. Q:Can I help out with the suggestion? A:Yeah, sure! If you have a simple idea for it, just post it on the thread. If you have a full thread update idea for it, then you should message me. Q:The banner isn't clickable! Help! A:If you didn't use the "paste this into your sig if you want the banner" link that is provided, then that's probably the issue. Q:I helped out with the suggestion and I'm not in the "Thanks" section! How come? A:Most likely I forgot after the thread was moved. If this is the case, message me with what you did to help out on the suggestion and I'll add you on there. A:I try to release an update once or twice a month. I also try to keep it as early as possible in the month. So, you can expect one on the first week of every month. Just keep in mind that's not a guarantee. Q:Is there a mod coming out for this, and if there isn't, can I make a mod? A:Yes, it's actually planned for the next big update to this! I'm looking for a decent modder right now. A:Read through the thread and all it's sections thoroughly. If you can't find the answer there, reply to the thread with your question and I'll answer it, then add it to the Q/A section. A:No, because the output of crafting them is 5, meaning you lose no resources. Q: Wouldn't corner rails break rollercoaster maps? A: No, because the blocks would change from the current "turned rails" to the new corner rails because of a world transition feature. Q: The current update system is flawed; people's notifications will get filled with update posts! A: Update aren't frequent enough for this to be an issue. Plus, people can easily unsubscribe from the thread if this bothers them. A: No, because their block state is permanent. It isn't affected by any redstone signal or block update as far as that goes. Q: What if two minecarts passed through the intersection at the same time? A: They would collide and probably bump each other back. Either that or they would pass through each other since they are entities. Show your support with the banner to put in your signature! Making the suggestions forum better. Offering an idea for somebody's suggestion if you don't support it. I was originally against this, but I realized how much better suggestions can be if you do this. Putting more effort into suggestions. I feel like some people just slap down a suggestion and don't think about it at all. This ends out with a lot of really bad suggestions, with little to no effort and thought put into them. Even if the suggestion itself isn't good, people like a suggestion with a bit of effort put into it. Being friendly, taking criticism the right way. Some people are downright rude, and nobody likes to see that. A lot of people get very "mean" and upset because they take criticism wrong. Reading the pinned posts. You would be surprised how many people don't read pinned posts. If you suspect somebody didn't read them, provide a link to them, and ask them in a friendly manner to read them. 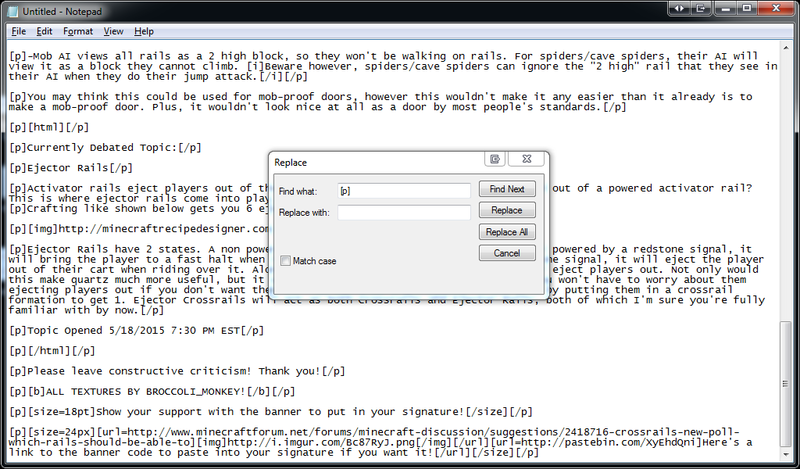 Hopefully we can get more people working on this in the suggestions forum. Feel free to put this message in your own thread if you desire. Here's a banner if you want to spread the word. Quote this, then copy and paste into your sig if you want it! A few of my suggestions and a personal favorite suggestions. More neat-o suggestions in my bio. Support for the most part. The only thing I'm not sure of is the recipe for the speed rail. It seems a bit convoluted for vanilla. Maybe instead the recipe could just be a powered rail and redstone block? Also, perhaps the derailing mechanic could be reimplemented when going at speeds above what a powered rail allows? Capture bats and other mobs in a small cage! Seems like Speed Rails isn't a huge hit, I suppose because it's complicated and unnecessary. Well, I think I'll ditch speed rails. Expect a new debated topic soon! Added a neat new banner at the top! Hmm ejector rails, seems a useful way to combine features from 2 other rails, but quartz has a great use, aesthetic blocks. Many people use quartz for building and spend a long time collecting quartz and collecting it for rails could be quit annoying. How many do I get from crafting ejector rails? You get 6 from crafting them. Crap, the formatting is goofed again. Well, I'm not making a third repost. If the formatting is messed up to where you have to add an extra space in between lines for the space before it to show, is there a way to fix it? Location: Turning Tee into squid. Badprenup Someone needs to give this guy a cookie! My Avatar: Totally not me. Oh seeing how I forgot to repost my support on the new thread, I'll say that I support this (again). As for the Ejector Rail I have some questions, although I initially like the idea because I dislike that the Activator Rail does multiple different things, even though most of the things are not that useful or are only useful in Creative and Adventure Maps or in SMP. It sometimes makes more sense to designate a rail to a particular function, otherwise you might be making an auto-ejecting station and then a TnT cart runs along it and blows it up. The only thing I'm not sure on is why you would need an Ejector that is also a Crossrail. That would mean that no matter which way you eject you are stopping 2 directions of rails because you are in the way. But I won't dismiss the idea as there are many people better at Redstone than me who can probably come up with a use. Badprenup, you're my hero! Will edit the thread. That looks pretty good. I'll add it to the OP tomorrow. Things you need to know before replying to this thread. -The debated topic isn't meant to be added to the main suggestion, it is meant to keep discussion productive and lively. If you've got an idea for it, please, speak up! -If you have nothing constructive to add to the thread, please do not reply. -If you notice a formatting/grammatical issue, it would be greatly appreciated if you point it out. -Be open about discussion. That means don't be afraid to disagree with anybody, and speak in a friendly manner to other people on this thread. -Do not reply unless you have read the thread in it's entirety. That means don't reply if you skimmed the thread, didn't read a section, or didn't read it at all. -If you think this list needs something else added to it, be sure to tell me. I forgot to implement Badprenup's idea. Sorry about that, I'll go ahead and add it in. By the way, soon I'll be changing the banner at the very top. Detector and Activator Crossrails have very little use. Crafting corner rails should give you THREE of that type, not one. Ejector rails, though now lack purpose on account of Activator Rails, should use PISTONS, since Nether Quartz is a limited resource and is better off used in structures and sorting systems. And support the ability to add paintings and records! Detector and Activator Crossrails have very little use. They are actually quite useful when used in combination with other crossrails. 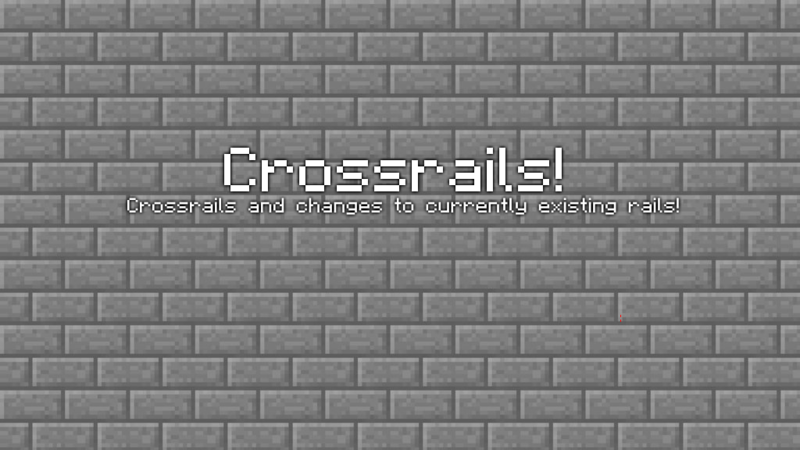 Railcraft adds in Crossrails. Not a valid argument. Crafting corner rails should give you THREE of that type, not one. OK. But that's not a reason to not support an idea, that's just a suggestion for the idea. 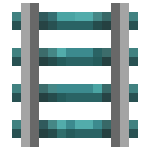 Ejector rails, though now lack purpose on account of Activator Rails, should use PISTONS, since Nether Quartz is a limited resource and is better off used in structures and sorting systems. They do have purpose. If you read the entire thing, you would know it is making activator rails more useful and making itself more useful. Nether quartz isn't limited, it is practically infinite in the nether. -Made it into the suggestions hall of fame!